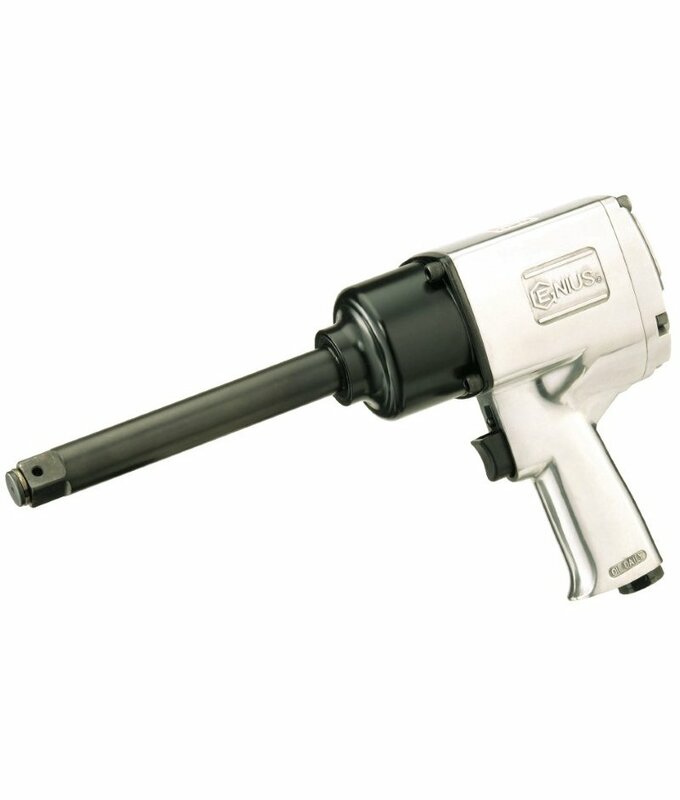 3/4″ Dr. Long Anvil Super Duty Air Impact Wrench 1,100 ft.lb. â?¢ Always wear safety goggles, hearing protection and protective clothing to help prevent injury. When working in dusty conditions, a dust mask is highly recommended. â?¢ Always operate air ratchets or air wrenches at air pressure stated on the tool by the manufacturer to ensure top performance and maximum durability of all components. â?¢ Always disconnect the air tool from the air supply before changing any tool accessory or performing maintenance. When not in use, store the tool in a dry, enclosed location. â?¢ Always use impact sockets with an air ratchet or air wrench. Never use hand sockets on air tools. â?¢ Always place the dust cover back when done with air tool. â?¢ Do not use the air tool if the trigger switch does not turn it on or off. Disconnect the air supply immediately. â?¢ Do not carry an air tool by the air hose or by the tool accessory that is attached to it. â?¢ Do not run the air tool while placing the socket over the nut. Only trigger it when socket is in position. â?¢ Do not change rotation while the air tool is still running. â?¢ Do not over torque bolts and nuts with an air tool. The final tightening must be carried out by using a torque wrench set to torque specified by manufacturer. â?¢ Do not tighten or loosen the nut that would require the use of the unit for more than 5 seconds at one time. Release the trigger and re-trigger it again. â?¢ Do not raise the outlet pressure of the air compressor if the nut cannot be removed and do not continue attempt to loosen the nut. Use other appropriate tools and methods to remove it. â?¢ Do not wear a tie, loose clothing or jewellery when operating an air tool and keep hair and gloves away from moving parts as they can get caught in the process. â?¢ Do not operate air ratchet or air wrench for long periods of time as exposure to vibrations can be harmful to body. It is important to take frequent breaks. â?¢ If an automatic oiler system is not used, add a couple drops of air tool oil to the air inlet before operation. Add a few more drops after each hour of continual use. Proper lubrication of air tool will improve life expectancy of an air tool.